Messages to cut down on packaging, reduce the use of plastics and to help halt the severity of global warning, among others, are repeated every day on our news. I’m pleased, therefore, to interview a company that is totally eco friendly – even down to the packaging. 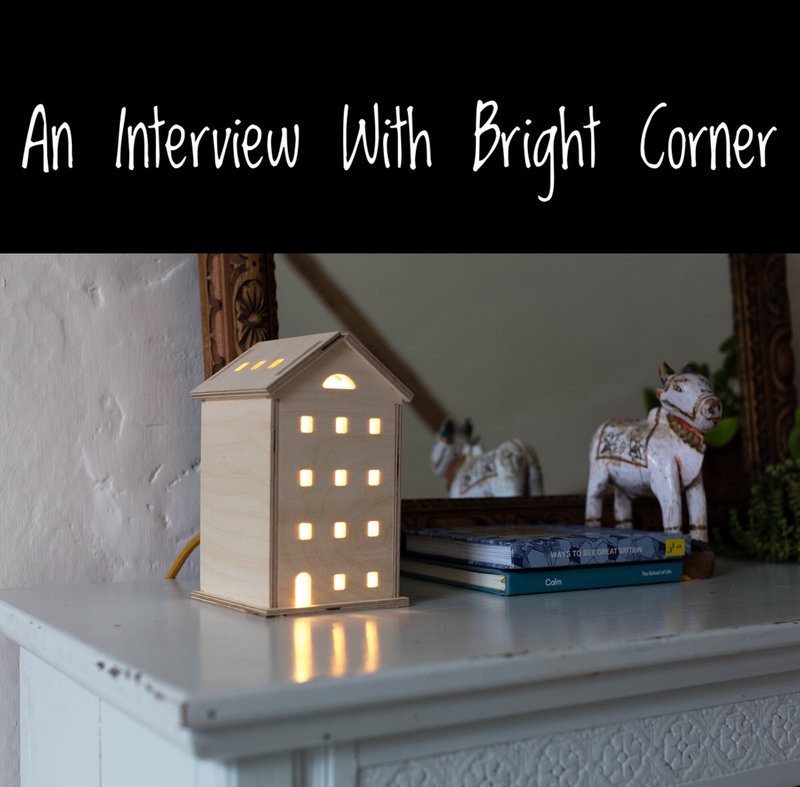 Bright Corner is a company that specialises in pretty interior wooden LED lights for the home that brighten up even the dullest corner. Good lighting in your home is important emotionally for making you, your family and your abode happy. 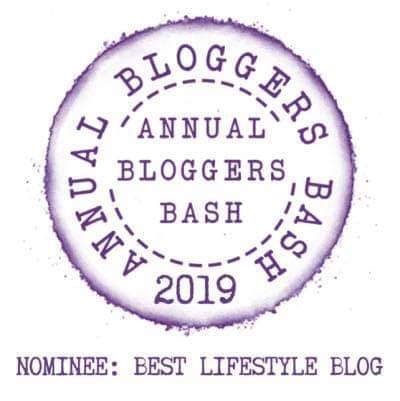 I caught up with founder Chloe Harrison to find out more… Hi Chloe! 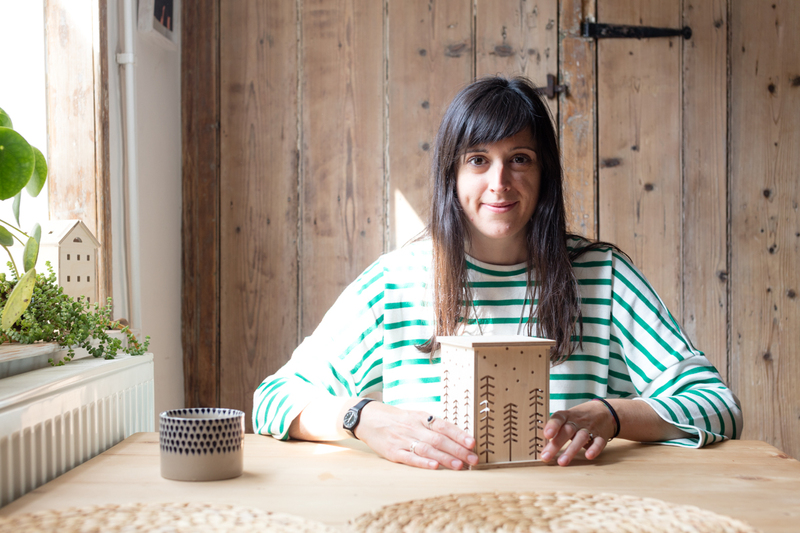 Hello, I am Chloe, founder and owner of Bright Corner, where I design and make wooden LED lights to create and inspire a happy, cosy home. 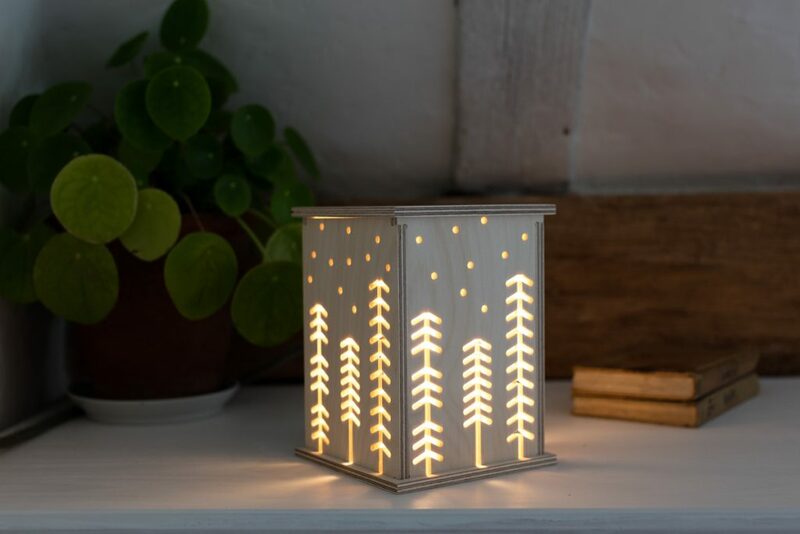 Your company designs and makes simple wooden LED lights. What inspired you to start your company? I left my job in London a few years ago, to start something myself that gave me a better work / life balance. I spent a while volunteering and doing some courses but before I had figured out what I wanted to do, I became pregnant. This obviously took over for a while, but I knew I wanted to start a small creative business. Bright Corner came to me when I couldn’t find a simple wooden light for my little girl’s bedroom. So, I decided to design one and it grew from there. Bringing a little bit of nature indoors, it makes a refreshing change to use natural wood. When it comes to packaging etc though, does your company maintain its eco friendly ethos by avoiding plastic? Yes definitely, I aim to be as environmentally friendly as possible. My products are packaged with no plastic, in simple brown boxes, protected with loose fill paper packaging – all recyclable. My parcel bags are Eco friendly made from Coex, a 100% natural product. There are 3 designs to choose from: Star Tent, Townhouse & Woodland; as well as a choice of 3 fabric cable colours: natural jute, olive green, mustard yellow – which design and colour cable seems to be the most popular amongst your customers? 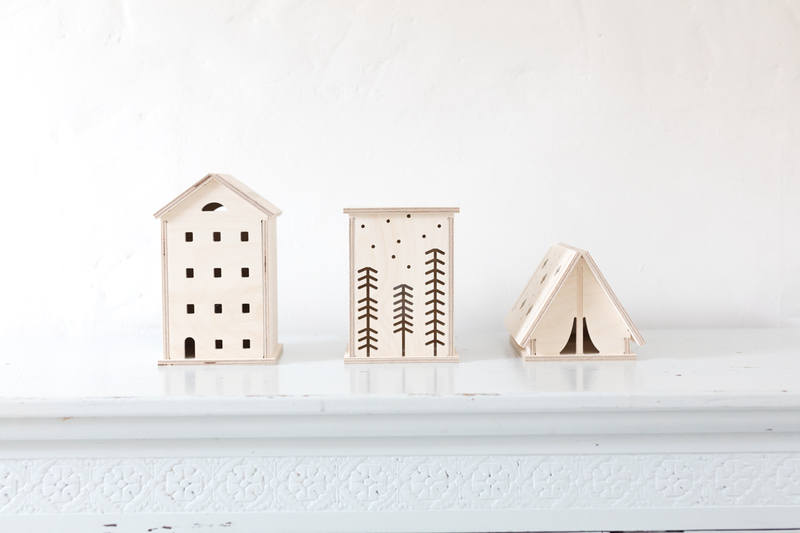 Do you have a favourite design? 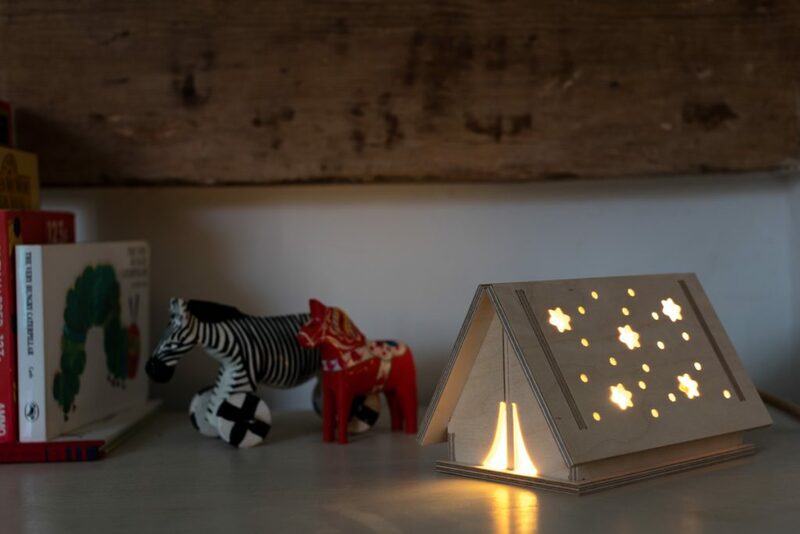 It is still early days, and all designs have been well received but the Star Tent seems to be the most popular for children’s rooms and the Townhouse, Woodland for adults. The cable colour favourite is mustard but I think that’s a top colour this winter. My personal favourite is the Townhouse with mustard but ask me in 6 months and I would have probably changed my mind. Are there any new additions to your range of lights in the pipeline for 2019? Yes I am working on a few new designs for the Spring / Summer and maybe even some new products, but they will have the same simple, wooden feel to them as my lights do. At the moment I only supply a UK plug but also send to Europe. I am hoping as my company grows, I can offer different plugs and expand to America / Canada. Have you always had an interest in design or did you have other aspirations growing up? My sister was the creative one growing up and I was obsessed with films. I ended up working in the film industry, so still a creative world but I wasn’t creative myself. I felt a gap in my life for creativity, so I started to paint and had that as my outlet until I decided to leave my career and start a new adventure. I prefer winter clothes to summer, I love tights with skirts / dresses, boots and jumpers, cosy clothes. I love a charity shop bargain, I once bought a COS T-shirt for £3 and wear it all the time. I am trying to buy more independent and recently got an amazing moon/ star jumper from Alphabet Sweats. For a treat I love Finisterre and Toast – gorgeous brands, beautiful clothes. I have always wanted a pair of Swedish Clogs, maybe I will treat myself for the Spring. Boots, they are much more practical and there are better designs out there. I am a mum, so love a slip-on boot, so much easier when you are carrying a little one in and out of the house. Links you would like to share e.g. website/facebook/twitter etc so that readers can find out more about Bright Corner. Lovely designs Chloe! Although I do so love the minimalist interior home designs that are trending – your lights are simply stylish and versatile – looking good in a new build or in a rustic old style country cottage. I look forward to seeing your new creative designs in 2019. All photographs have been published with kind permission of Chloe Harrison of Bright Corner.